All spots are booked for this course! Sign up HERE to be notified when we schedule the next workshop. We invite you to learn how the log structures were built in old days only with hand tools. Over the six-day workshop, you’ll learn traditional Estonian log-building by cutting and raising a traditional smoke sauna (in est. suitsusaun), a small log building that is an iconic form in Estonian vernacular architecture. 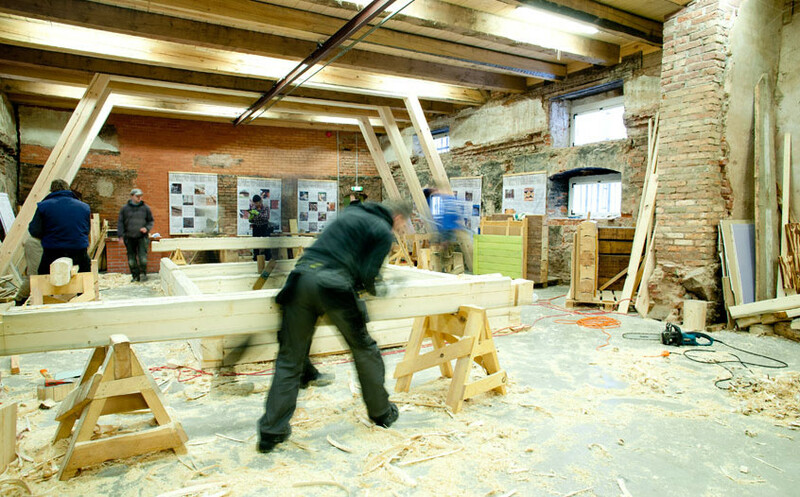 Workshop participants will also learn about the historical and cultural context of log-building in Estonia, and about historic buildings and restoration techniques. The workshop curriculum includes visits to Mooste manor workshops, including a shop specializing in traditional clay and earth plastering, a tour of the open-air museum and workshop of local log-building company. 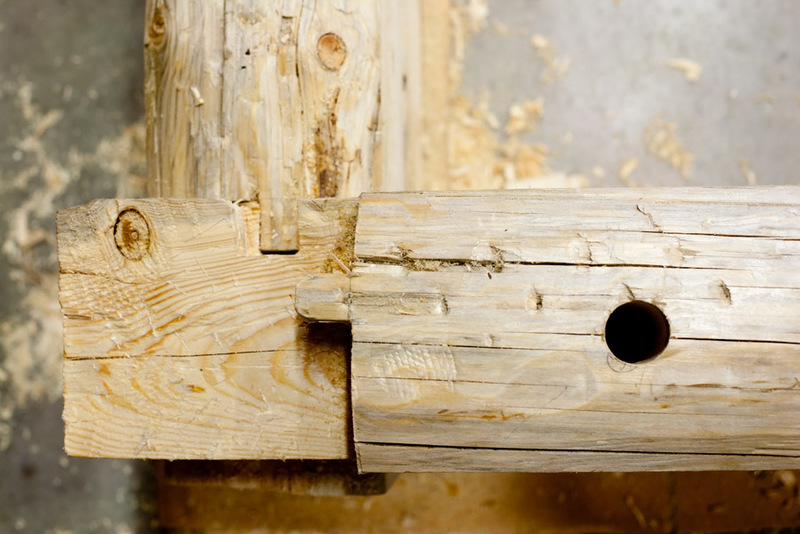 During the course 4 x 5 m sauna will be built with dove tail joints using only hand tools. Participants are not expected to have any log building experience. The Tutor, Margus Palolill, is carpenter and teacher of Estonian traditional log-building. Born and raised in Southeast Estonia where heritage buildings are still amply present, he started with carpentry at the age of 20, first taking interest in shingle roofs and later in various traditional building styles – log-house, timberframe and earth building. Co-tutor, Mikk Mustmaa, is carpenter and restorer, dedicated to bring back to life old log houses in South-Estonia. Training site: The course will be held in the Vanaajamaja Center for Traditional Building and Craft. It is located in the small village of Mooste, in southern Estonia. The Center is a renovated old grain dryer surrounded by 16th-century Mooste Manor. The Training Center consists of a broad workshop with enormous two-story heritage protected kiln oven, seminar room with exposition of traditional building skills, a small kitchenette for coffee breaks and a Finish sauna with showers and wardrobes. Accommodations are at the Mooste guesthouse, which is a restored building in the historic manor complex. All meals will be provided, with an emphasis on local food. Full lodging is provided from Sunday April 29 evening to Sunday May 6 morning. It was decided to add smoke sauna tradition in Võromaa to UNESCO Representative List of the Intangible Cultural Heritage of Humanity 2014. You’ll definitely have a chance to get part of the traditional sauna culture during your stay in Mooste! Cost 675 EUR, includes everything in-country: tuition, accommodation, all meals, organized field-trips. Participants are responsible for their own international transport, travel insurance, and extra-curricular costs. Space is limited to 12 participants; please register early. Language: The course is designed for non-Estonian speakers and will be held in English. During the past four years there have been participants from USA, Canada, Australia, France, Poland, Latvia, Lithuania, Finland, Germany, United Kingdom, and also English speakers from Estonia! 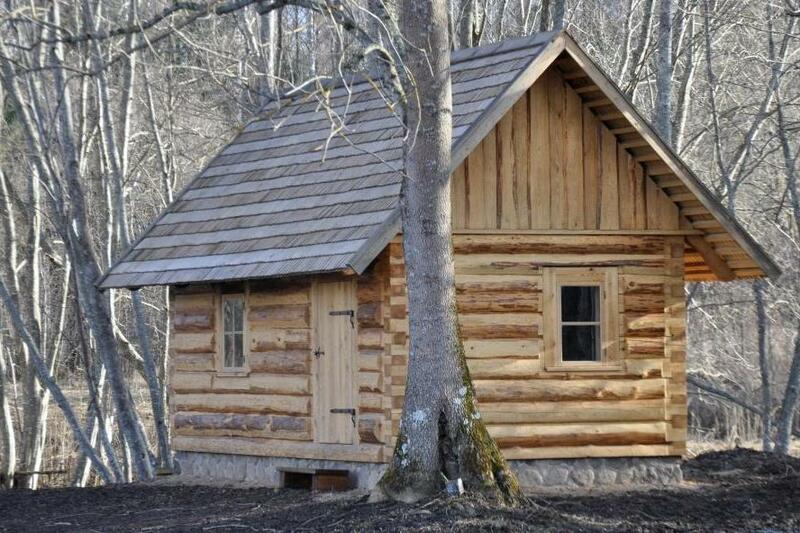 The course will be hosted by Vanaajamaja, an Estonian non-profit organization dedicated to establishing training programs, disseminating information, and generally serving as a center of Estonian traditional building and log house renovation for the professional and general public alike. 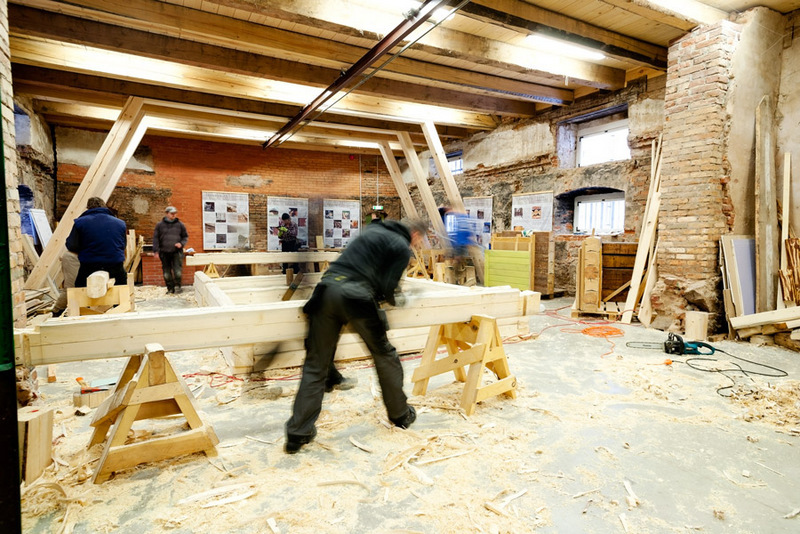 Vanaajaamaja has been hosting workshops and organizing training courses for Estonian carpenters since 1998. Mooste is a unique village in southeast Estonia with an active international community of crafts people, builders, artists and musicians: housed within the historic setting of the local manor. Germain Joyet came to know Vanaajamaja and Mooste through several visits to Estonia. After a Vanaajamaja smoke sauna building workshop in April 2014, Germain decided to buy an old house in Mooste and renovate it for himself.